It is always nice to be a little more prepared before you dive head in for your adventures. Other than your maps, passports, smartphones (and chargers! 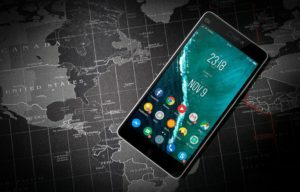 ), here are some apps that you should have with you to make life a wee bit easier while traveling the world. Google Trips makes it easy for travelers – especially if you have a Gmail account. It is a killer app that is both a trip planner as well as a travel guide. With the reservations sent to your email, it automatically populates reservations and offers a variety of suggestions. Best part of all that suggestions? It does not simply give you the typical tourist destinations; it often suggests places that are off the beaten track! If you are visiting a bigger destination such as London, you can also download day tours such as ‘Literary London’ and access it later (without data). Google Trips is available on iOs and Android. Available on both iOs and Android, Airbnb is a household name for getting an authentic experience by staying a night or even more with a local or at their home. Chat with the home owners before you commit to a stay with them, ask questions about the neighborhood activities and stores, enquire about the city you are headed – it’s all possible with Airbnb (no way can you do that with a hotel stay). More interestingly, the newly added feature, Trips, offers experiences (curated events) that you can choose to participate during your stay. You might have heard of Skyscanner, Kayak and the likes that try to get the cheapest possible price for a plane ticket by analyzing and tracking billions of flights – Hopper does the same thing, and more. Looking at the cheapest dates to fly via a month-view calendar is just a start; Hopper even has a push notification that tells you when you should buy your ticket. The user interface is simple and easy to use – booking on it is a breeze. Hopper is available for download for all iOs and Android users. A mental checklist is not enough – cue PackPoint, an app that makes a checklist of everything you need to pack by checking the weather forecast for the dates and locations on your behalf. Simply select the activities you may (or may not) be participating during the trip (e.g. meetings, fancy dinner parties) and PackPoint will offer you suggestions! What’s more? You can also share the same list with your friends who are going on this trip with you. This virtual packing assistant is available to all iOs and Android users.